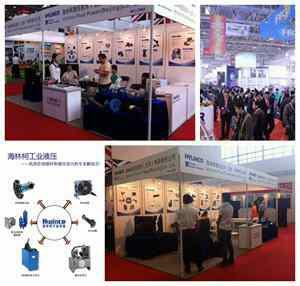 CIMT 2014 Expo in Beijing_HELNCO FLUID POWER (Beijing) Co., Ltd.
China International Machine Tool Show (CIMT) has been successfully held for 13 times since 1989, which is held once every single year. CIMT is the most famous, largest and most influential professional show of machine tool in China.It is recognized by the international industry to enjoy equal popularity with the European EMO, American IMTS and Japanese JIMTOF, and should not be missed. 1534 exhibitors from 28 countries and regions attended the 13th China International Machine Tool Show (CIMT2013) held in April 2013. The total area of the show is 126,000 square meters, and 284,000 audiences from 72 countries and regions attend the show. Our company attended the 12th China International Machine Tool Show 2014 as scheduled. In this show, our company actively participated in the communication with the industry-specific personnel, and made an effort to extend publicity and improve the corporate image. Meanwhile, the solid foundation is laid for breakthrough of our development limitation by integrating advanced technical experiences.